Hello cyber cigar world. Over the next however many episodes of the Half Ashed Cigar Podcast we’ll be accompanying our weekly episodes with a written review of the featured cigar. You’ll quickly realize that I have no format, no form, no skill really, just the uninhibited passion of a man and his love for cigars. You’ll quickly realize to listen to what I mean rather than hearing what I say. I’m sure I’ll open a few eyes and perhaps even teach you a thing or two. Most of all I think you’ll enjoy the ride that we’ll be on together. The idea of an accompanying review is to point out that there is a difference between a cigar you smoke and one that you review. On the show we’ll be furiously trying our best to sound entertaining and it’s quite possible that the cigar itself will just be smoked. These epilogue submissions not only help paint a clearer picture of what the cigar brings to the table, but really (to me at least) are meant to emphasize that smoking one cigar alone does not constitute an adequate qualification for a review. To know what the cigar really means to convey, you must smoke multiple samples. Hopefully, you can smoke many of them, from multiple boxes and different releases. Only then can you claim to start knowing what that cigar intends to provide. While Kip and I are only smoking 2 or 3 specimens on a weekly basis, the first year of our reviews is at least half dedicated to cigars we know and love already. Thus qualifying us to provide a review that can stand for more than just a one-off opinion. Right after lighting this cigar has the sweet baking spice I love from Fuente. Dominican tobacco can provide a depth of flavor that rivals anywhere else in the world, to my palate. This 858 is a prime example. Deep richness and a slight syrup-like sweetness are immediately present. Upon opening up, the sweetness drops an octave and brings the dried fruit depth of flavor in spades. I think dried sour cherry and mint emerge as the first third gracefully exits. There’s an obvious tannic void which reminds me more and more of something that’s obvious, solely by not being there. Imagine a slice of pizza that you’ve sopped all the grease from. It’s still pizza but you know there’s something missing. The void is almost always accompanied by a shortness on the palate of a certain flavor. It’s there and then immediately it’s gone. For some reason I love this in a cigar. It must be a mental thing after having aged enough cigars throughout the years to know that it’s a sign of good things to come. 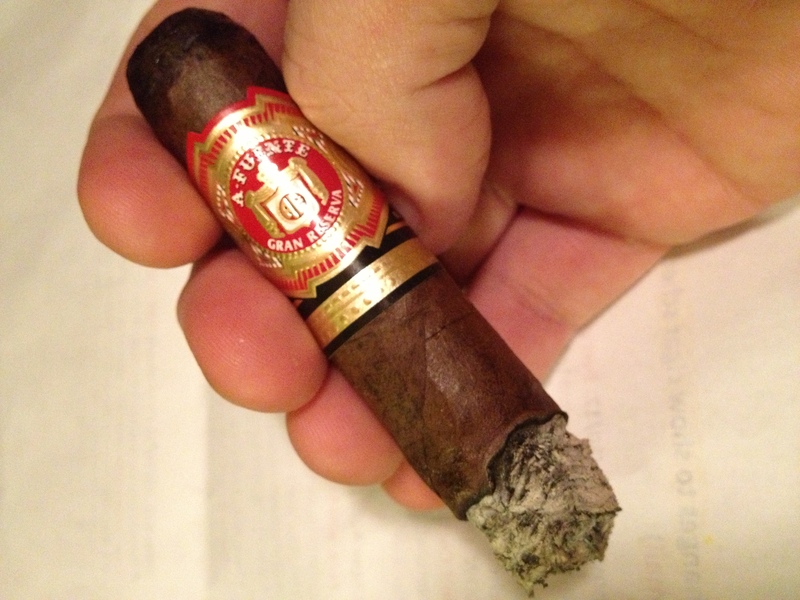 This cigar has the new(er) Fuente band on it which means its post 2011 (Kip, correct me on that date). I can’t help but think that a SG from early winter 2008 would be pretty epic right about now. The 858 is smoking like a dream; moderate tempo, proper draw, cool temperature, good burn, all the hallmarks of a great cigar. 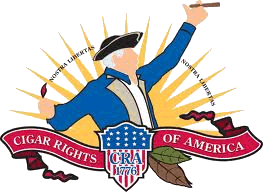 Admittedly, I don’t think I’m rewriting history with those statements but it should be noted that this cigar does not receive poor marks for those items which typically only hurt a cigar. Into the final third the performance continues to be strong and the flavors continue to develop. The sweetness now is brighter and resembles an apricot. It seems to have lined up, or melded with the tannic nature. I think the short finish and crisp nature of the flavor point to that. Finishing up, I’m amazed at how the flavors transition in this cigar. I expect it to be richer, more tobacco centered and even slightly dark. The fact that it transitions into “softer” flavors, crisp and tannic in nature is art at its finest. But that’s the thing about blending tobacco, it’s never just art. It is such a skillful thing. Man, I love it.